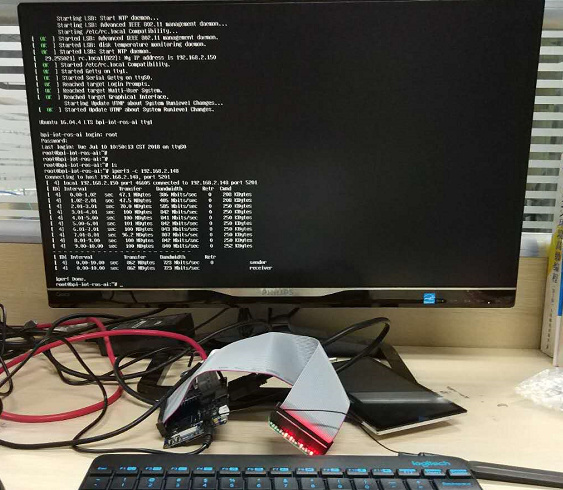 This release is for banana pi M3 board which is based on Allwinner A83T, We release three Images, Ubuntu 16.04 Desktop & Server is based on kernel 3.4, Debian Jessie 9 is also based on kernel 3.4. Hello, I posted the google links. thx. i had tried 4.M3 Debian Jessie 9 with 7 LCD (bpi-bootsel /usr/lib/u-boot/bananapi/bpi-m3/BPI_M3_LCD7.img.gz) and touch screen not working. i ll try modprobe ft5x_ts and it does not helps me to solve problem. may be you know why? 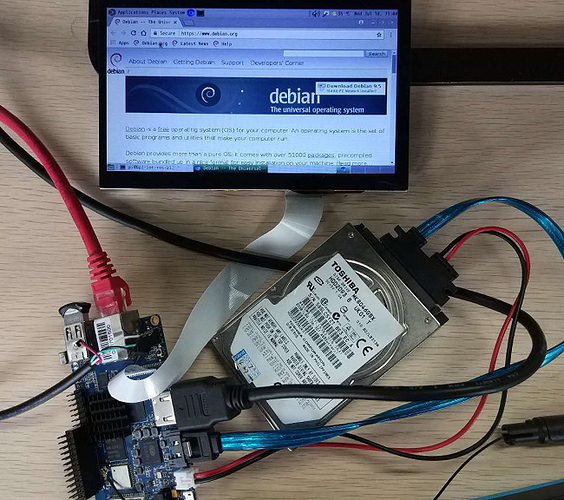 If Debian could not work, could you please try Ubuntu? I had triyed all 3 images and at Ubuntu Big and Debian Jesse touch is not working. at Ubuntu Lite after i had install Xserver touchscreen is working. i will try to assambly what i need at Ubuntu Server(Ubuntu lite) version. Thank you for you Great work. where i can buy you LCD module? Is it possible to compile one image for the BPI-M1? How do you create these images? Can you create a Debian Server Image please? Hello, M1 Image I will release in the next week. because I don’t have M1 board now. I will write the method in the wiki, and you will see. Hello i have a question how ai can change display mode in image burning on mmc ? Hi, How can I stream usb camera video? I’m using Logitech c930e (which with guvcview cooperate fine, device is listed in lsusb etc…). I was trying to use mjpg-streamer but it failied unfortunatelly. Currently I have installed M3 Ubuntu 16.04 Mate Desktop (which seeams to work stable with my new emmc memory). I need video streaming for my 3d printer (software for Octoprint I have installed and it runs ok, just camera problem only left). Please advice any solution for live streaming. Hi I’m facing a problem with touch module (HC070TG38035). I have tried this module with BPI M1 and M64 boards, touch is detected but not corrected calibrated. I have used ubuntu desktop 16.04 image in both cases, getting the same result. Could you help me with this issue? Yes both have this problem. I don’t have another board. LCD module finally works with BPI M64 board!!! We updated drivers from https://github.com/BPI-SINOVOIP/BPI-M64-bsp and used gt9xxnew_ts.